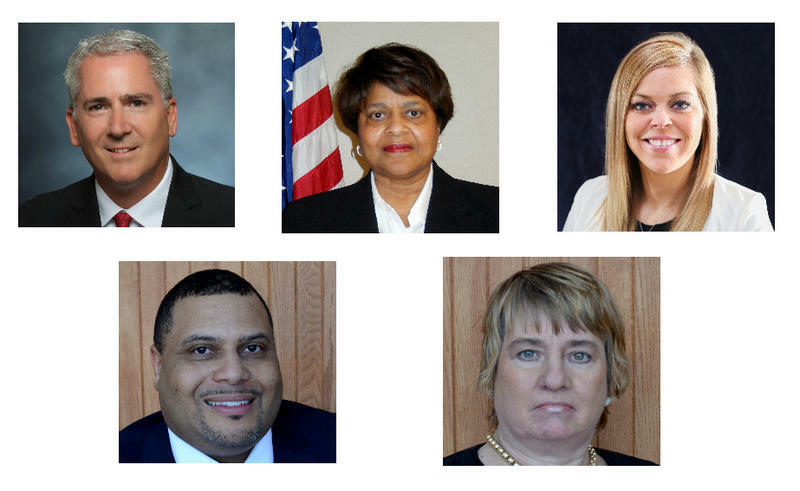 Clockwise from left: Incumbents Rob Chabot and Donna Thurman, along with first-time candidates Jessica Ponder, Donna Dameron and Roger Hines, are running for the Ferguson-Florissant school board on April 4. Six of the seven current school board members voted to appeal the judge's ruling in December, including both incumbents on the upcoming ballot, Donna Thurman and Rob Chabot. “When you look at the make-up of the current board, right now we have four Caucasians and three African-Americans. That is what the statistical analysis shows the make-up of our board should be,” Chabot said. Chabot, who was in office when the school board controversially placed then-district superintendent Art McCoy on leave, said he is running again because he likes the direction the district is going, with strong finances and improved academics. Jessica Ponder, who is running for office for the first time, also supports the current board’s decision to appeal to keep at-large voting. The three candidates elected Tuesday will join two white members and two black members on the Ferguson-Florissant school board. 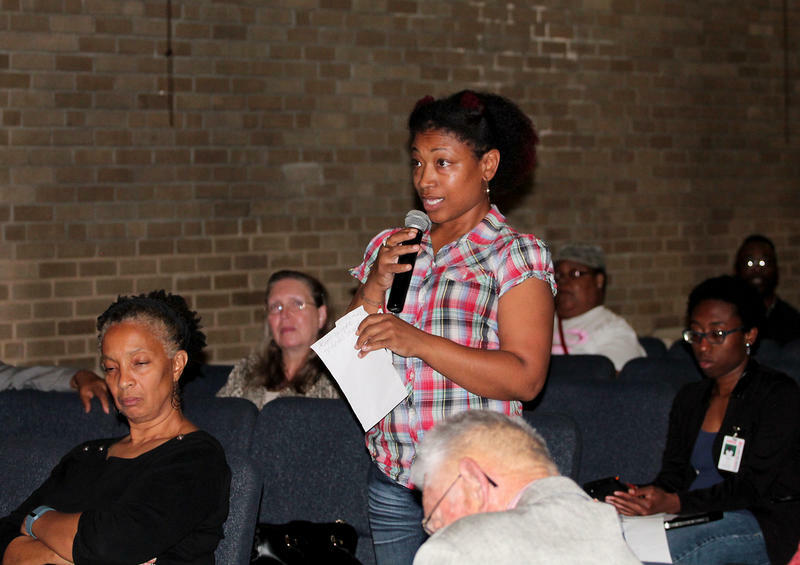 She said she wants to be on the school board to help encourage young families to stay in the district. The final two candidates running for the board are Roger Hines and Donna Dameron. Both ran unsuccessful campaigns to join the board last year. Neither candidate responded to interview requests. But whether Hines and Dameron support the appeal or not, a majority of the current candidates do. And that means regardless who wins Tuesday, the way the next election is held will most likely be decided in court. Correction: An earlier version of this story misspelled McCluer High School. The Ferguson-Florissant School District wants a federal judge to approve an election system he ruled unconstitutional in August because it diluted the power of black voters. Despite that ruling, Ferguson-Florissant attorney Cindy Ormsby said there’s still a possibility that the judge will decide the original at-large system is best. Updated Sept. 29 with the plaintiff’s choice — The American Civil Liberties Union and the Missouri NAACP are asking the judge in their ongoing voting rights case to consider changing Ferguson-Florissant School Board elections to a cumulative voting system. Cumulative voting allows a voter to cast multiple votes for the same candidate. For instance, if three slots on the school board are open but a voter only likes one candidate, he or she can cast up to three votes for the same candidate.